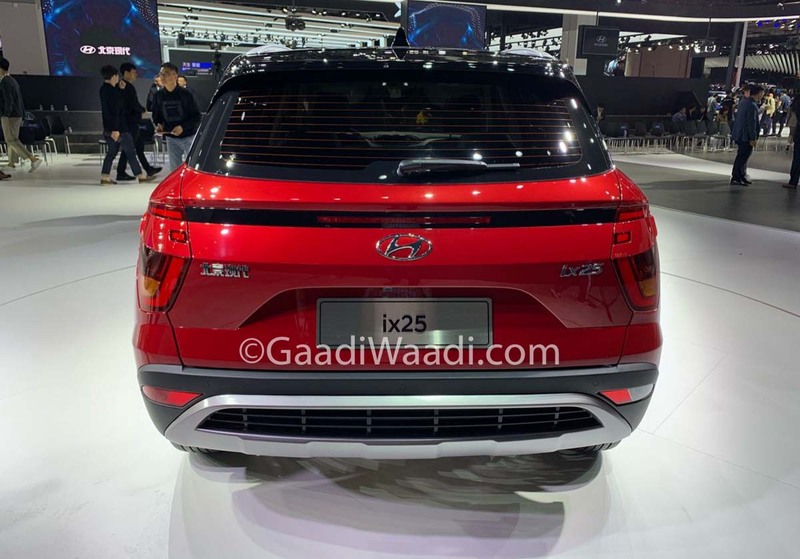 As Hyundai gets ready to pull the covers off the most spoken about car in the market right now, the Hyundai Venue, the Korean car giant has made its presence stronger at the Shanghai Auto Expo 2019 by unveiling the next-generation Hyundai ix25 SUV. 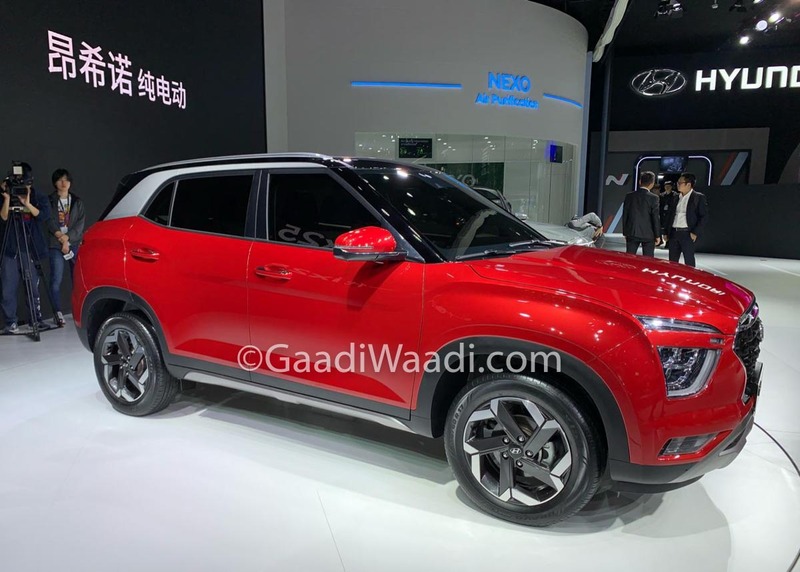 The Hyundai Creta is marketed as the ix25 in China and the ix25 second-generation has the same platform and other hardware as its predecessor. On the exterior, the new Hyundai ix25 / Creta gets a fresh new look. Ditching the conventional design, it has gone with the split type headlights, with the headlight unit sitting on the bumper and the very sleek LED daytime running lights just below the bonnet shut-line. 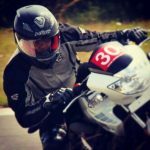 The headlight has a 3-pod projector design and has integrated turn signal lamps. Lower on the bumper are fog lamps with cornering assist lights. The lower front of the bumper has a silver skid plate surrounding the air-dam and the front grille appears to be huge with plenty of chrome trim around it. The roof gets a floating design with the roof and pillars painted in black with the exception of the c-pillar which is painted in gloss white. The wheel arches are muscular and squared and have black plastic cladding around them, starting from the front bumper making all the way to the back. The black plastic cladding will help protect the paint from stone chips on the lower parts of the doors. The rear of the car has a low mounted tail light and a horizontal auxiliary stoplight with piano black inserts. The rear bumper has a silver skid plate as well surrounding the diffuser and the corners of the bumper house the reverse lamp with fog lights. 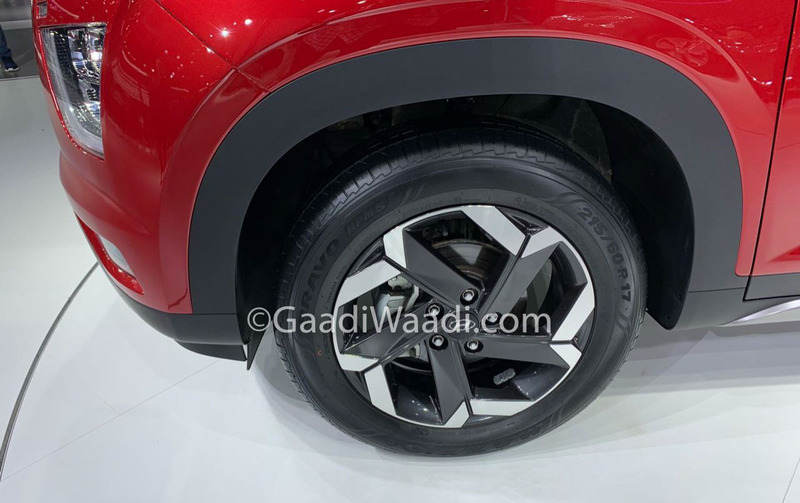 The 5-spoke alloy wheel design is quite similar to that of the upcoming Hyundai Venue that will be unveiled tomorrow. The interior of the car features a dual tone black with beige upholstery. 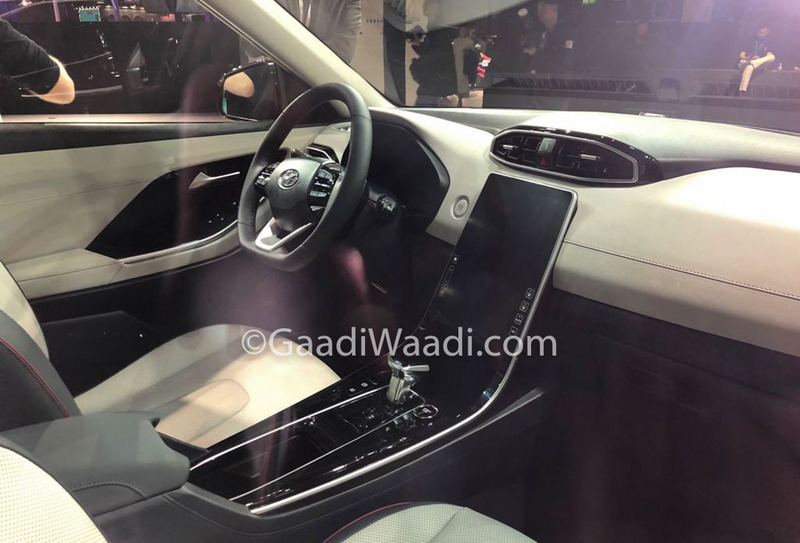 The centre console features a full size floating touchscreen infotainment system with Hyundai’s BlueLink and feather touch button on both sides. Very Tesla like. The steering wheel is flat bottomed and has controls mounted on it and is finished in leather. The instrument console, though did not appear to be clear, could be a fully digital colour unit. The parking brake setup makes it feel like a premium car. The cabin gives the Hyundai ix25 / Creta a premium rich feel. We speculate that the second-generation Hyundai ix25 / Creta will be powered by a 1.5-litre petrol and diesel options. Hyundai is tight-lipped about giving out any details regarding what is going to be under the hood at this point. 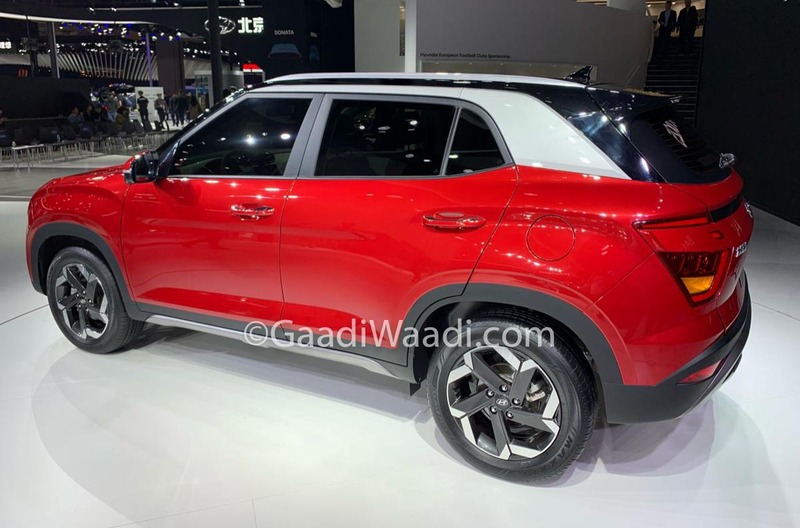 The new Hyundai ix25 / Creta is expected to launch in India by 2020 with a 5 seat variant and a 7 seat variant to follow by 2021. 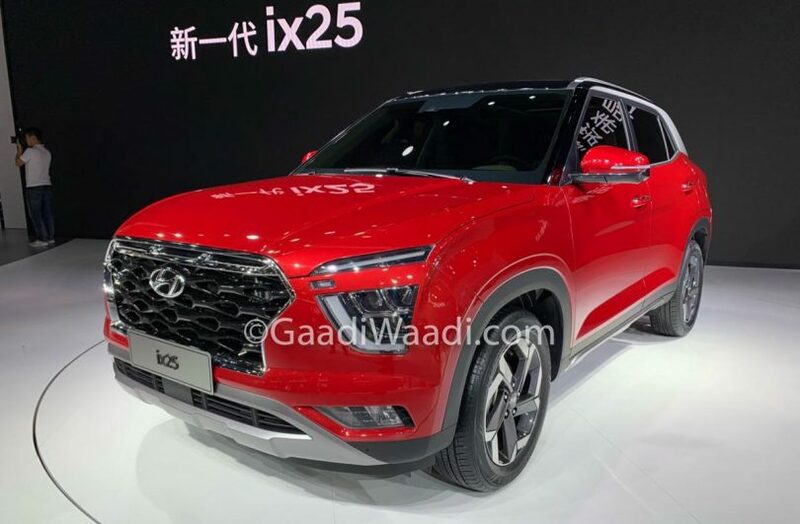 When launched the new Hyundai ix25 / Creta will compete with the Tata Harrier, Renault Captur, Volkswagen T-Cross and the likes.